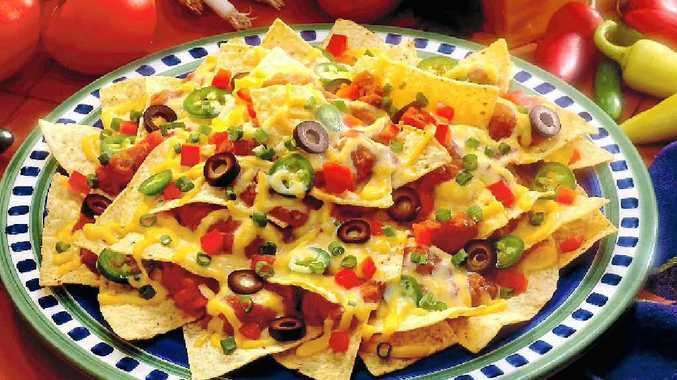 Nachos are a quick and easy meal idea. Spread ½ corn chips over microwave-proof plate. Sprinkle half beans, green capsicum, salsa and cheese, and then finish off with the corn chips and the rest of the beans, capsicum, salsa and cheese. Cook on medium heat for one minute, or until cheese has melted. Alternatively cook in oven 180 degrees for 7-8 minutes, or until cheese has melted. Guacamole: mash the avocado with a fork and combine well with lemon juice and chilli and serve with the nachos. >> To read more lifestyle stories.